Crystal Gayle (born as Brenda Gail Webb in Paintsville, Kentucky, U.S.) is a famous Musician from USA, she is 68 years old and still alive, born January 9, 1951. Crystal Gayle is an American country and pop singer. 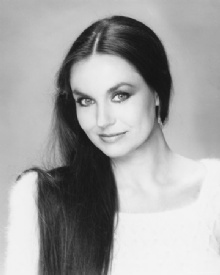 Crystal Gayle is the youngest daughter of Melvin Ted and Clara Marie Webb, who had eight children. When she was born moved her sister Loretta Lynn out, she also has a cousin named Patty Loveless. She is born under the zodiac capricorn, who is known for Determination, Dominance, Perservering, Practical, Willful. Our collection contains 13 quotes who is written / told by Crystal. "Now so many really good groups who have had a first major hit can't get a deal for a second one"
"You have to be committed or you fall behind, lose out"
"Well, maybe surf one time; I think it would be fun to catch a wave just once"
"Staying focused is hard work and staying married is even harder"
"So many singers want to act, and so many actors try to sing"
"Country is not what you heard on the Grammys"
"Women have to show that tummy to stay noticed"
"All I ever want to do is what I am: a singer"
"You're either in it for the long haul or you're not"
"It used to be that Nashville would work to develop promising artists"
"Nashville used to have more integrity than just looking at the bottom line"
"But these days, it's hard to make it just on a beautiful voice"
"There was a time when country never used to do videos"